Text messaging may be a difficult task for some people. The newer models of cell phones are becoming smaller and smaller, and so are the keypads. Inputting messages with the keypad takes a little while to finish. There is now a PC-to-cell phone text messaging that makes the task a whole lot easier. Using the computer keyboard is so much better than a phone's keypad after all. Using a keyboard is easier because the letters are spread out in individual keys, unlike in a phone's keypad where three or four letters are assigned in one key. This is the primary reason also that abbreviations are common in text messaging. This service first started in the late 1990s. It was close to real time texting when using a cell phone. Some facilities support a two-way PC to cell phone to PC texting service. Online text messaging is faster and more cost-effective. Just like regular chat facilities, online text messaging allows you to store contacts and group them. It can send group messages to contacts at a single time, or send individual messages. 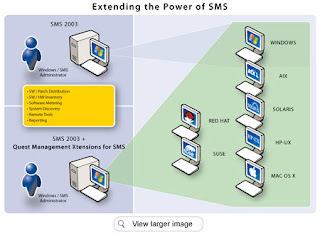 Mobile phone companies and wireless phone carriers use the cell phone's built-in info messaging feature to send automatic, system-generated text messages to subscribers. These info messages are usually alerts to new promos and features that could be accessed via the carrier's websites either through a regular or mobile browser. Text forwards are as popular as email forwards. They are useful tools for info drives or campaigns. Whether for sending invites to a weekend party or to encourage fellow young people to join a walk for a cause, online text messaging is an economical way of spreading the word around. Online messaging is also handy when mobile phone batteries are dead and one needs to send an important message. Do you see contact forms on business web pages that allow you to send short messages to their offices? These forms can be programmed to forward messages to an email or to a mobile phone, or even both. As soon as you hit that send button, your notes get to an email or phone inbox and business owners know the precise moment you've sent them a message. Many websites now have mobile texting features. Some of them are Friendster, MySpace and Facebook. These websites offer free text messaging as a way to advertise their sites and services offered inside. This is because freebies always attract visitors. More visitors mean high traffic for these pages. And as more people enter these sites, the greater visibility it has, and the greater chances of their services being tried. Thus, offering free text messaging is a form of advertisement also. Due to the prevalence of texting via computers, these computers now can also act like mobile phones. There are now downloadable softwares where your contacts and messages can be stored. You can tweak on the settings to make your computer receive certain messages instead of landing on your phone. And to make it more interesting, computers can also send messages to multiple recipients at the same time. This is similar to the send-all function of mobile phones. And if phones can send graphic images, the computer can do better. For more information on SMS to cell and Free SMS to Cellphone please visit our website.